So, unless you've been living under a rock, you probably know that the economy is not in awesome shape right now. Everything is more expensive, including food. Since not eating is obviously not an option, creativity is crucial when it comes to preparing tasty, affordable food at home. Recession or not, I adore bulgur, similar to brown rice but made from durum wheat. It's very inexpensive, high in fiber and is delicious in tabbouleh, pilaf, alongside fish or grilled vegetables, but my favorite way to use it is in the following recipe for the ultimate satisfying, delicious and CHEAP meal. In a large pot, heat oil over medium heat. Add the garlic, carrots, peas, and 1/2 of the onion. Cook until onions are translucent. Add bulgur and cook for another minute. Then stir in 4 cups water, a little salsa or hot sauce, if using, and the salt. Cover and reduce to low. Allow to cook for 15 minutes. Meanwhile, heat the beans in a small pot or in the microwave, until heated through. Once the bulgur is cooked and the beans are hot, assemble serving bowls with a bed of the bulgur mixture, a serving of beans, the remaining chopped onions and cilantro, and whatever other toppings you like. I like to sprinkle on cheese, salsa, a little avocado and a spoonful of sour cream. I also assemble a couple of tupperware containers of the layered mixture as well to bring to work for lunch. While I don't foresee being elected to office anytime soon, I do feel pretty good about being able to prevent an economic crisis in my kitchen. 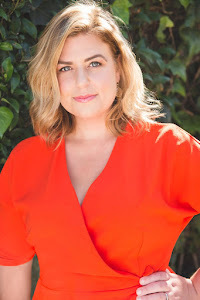 Also, if you're interested in reading more about healthy eating, check out feedbetweenthelines.blogspot.com, written by my friend since birth, Caitlin Leff. She is an expert and a brilliant writer.